This dainty and stylish bolo bracelet is great for stacking. 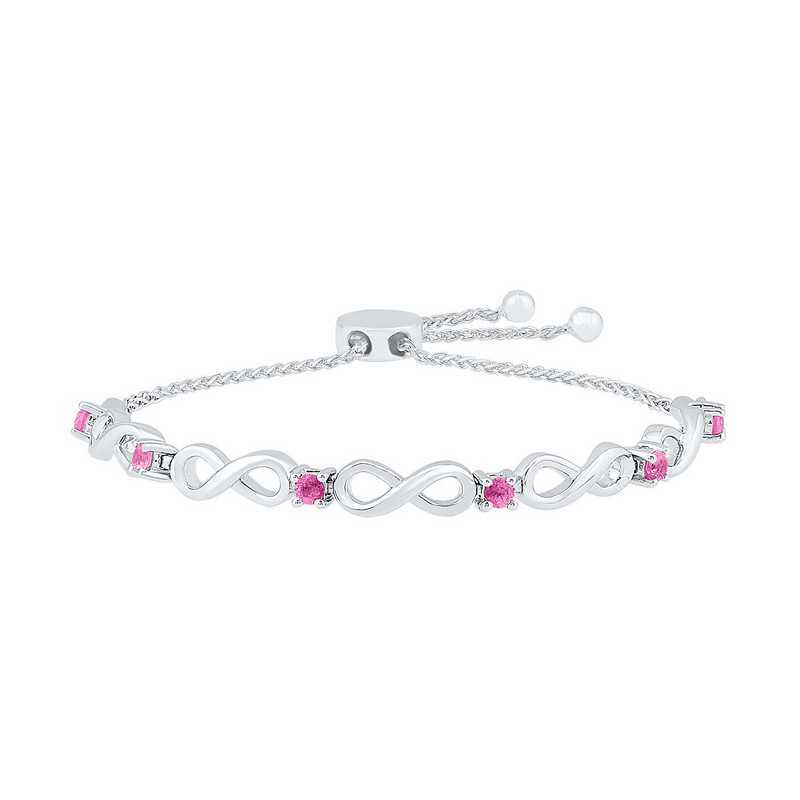 It is crafted in sterling silver, featuring repeating infinity symbols and pink sapphires with a lustrous finish. The wheat chain, which adjusts to up to 9.5" long, secures with a bolo clasp and ball ends. Manufacturer direct from a trusted supplier.